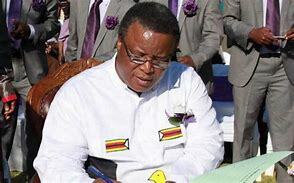 ZIMBABWE Post Properties (Pvt) Ltd (Post Properties) is claiming $61 000 rental arrears from Family of God church leader Andrew Wutawunashe. Post Properties, which is the owner of Gweru Post Office cubicle 2 sometime in 2015 entered a lease agreement with Wutawunashe that commenced on July 1, 2016. The lease agreement was that Wutawunashe would pay monthly rentals of $1 980 and in the event of failing to pay be entitled to a 14 days written notice to remedy the breach. Post Properties was entitled to cancel the agreement, evict Wutawanashe and claim outstanding rental arrears and holding over damages if agreement terms were not complied with. However, Wutawunashe defaulted paying rentals as agreed and in an attempt to settle the matter out of court, his representative Michael Mateta executed an acknowledgement of debt on March 2, 1017 of $40 216, 61. Wutawunashe is alleged to have failed to clear the debt despite making an undertaking to do so. According to court summons filed at the High Court, Wutawunashe’s occupation of the premises has become unlawful, hence Post Properties initiated cancellation of the lease agreement and order for eviction. The rental arrears have accrued to a total of $60 976, 61 as $20 760 accrued after the date of signing of the deed of settlement, March 2, 2017.